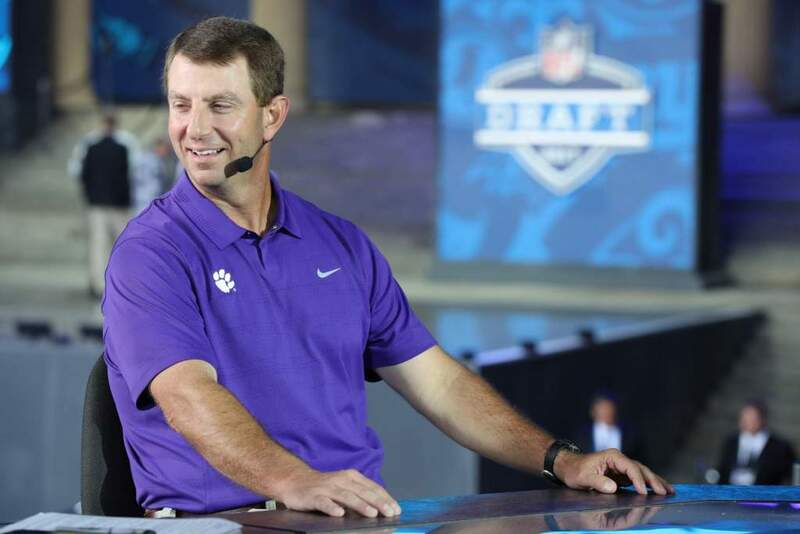 Clemson, S.C.—Clemson remained fourth in the College Football Playoff Poll released on Tuesday night. The Tigers have a 10-1 record heading into the regular season finale against South Carolina on Saturday. Alabama is ranked first for the fourth straight week, followed by Ohio State, Michigan and Clemson. Ohio State and Michigan play each other in Columbus, Ohio this Saturday. Washington is ranked fifth, followed by Wisconsin, Penn State, Oklahoma, Colorado and Oklahoma State. Louisville, who lost to Houston this past week, dropped to No. 11 in the poll. 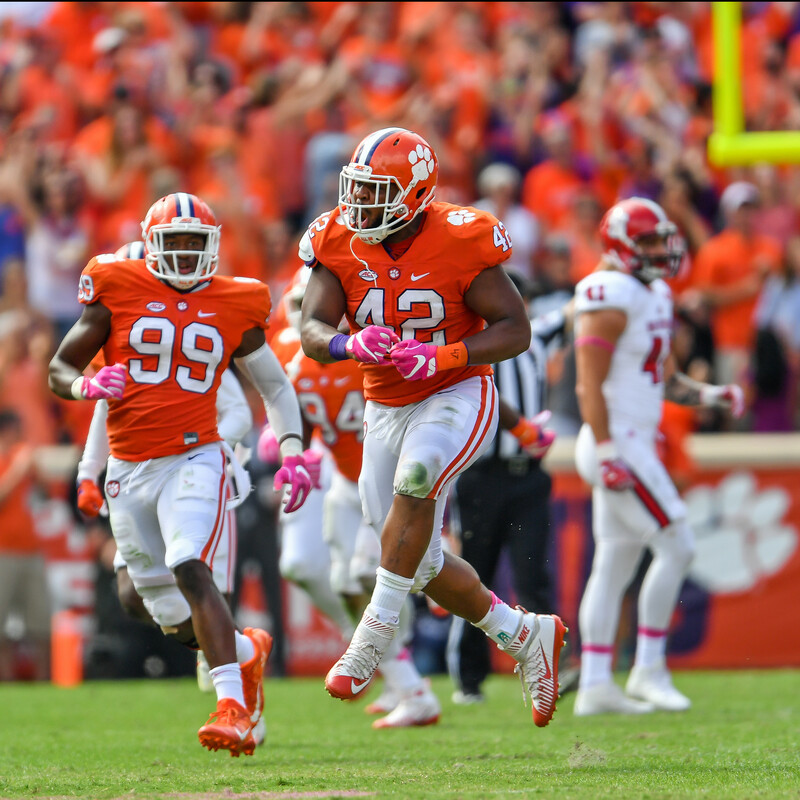 The release of Tuesday’s poll means Clemson has been ranked in every College Football Playoff Poll top 25 since the format began in 2014. Clemson, Alabama, Florida State, Ohio State and Utah are the only schools to be ranked in the top 25 in all 17 polls so far. Clemson has been ranked in the top four of the CFP each of the last 10 rankings, something only Alabama can also boast. Alabama has a top four ranking in each of the last 14 polls and Clemson has the second longest streak with 10. There are two more polls to be released, November 29 and the final poll on December 4. 1.Alabama, 2. Ohio State, 3. Michigan, 4. Clemson, 5. Washington, 6. Wisconsin, 7. Penn State, 8. Oklahoma, 9. Colorado, 10. Oklahoma State, 11. Louisville, 12. Southern Cal, 13. Auburn, 14. Florida State, 15. Florida, 16. Nebraska, 17. Tennessee, 18. West Virginia, 19. Boise State, 20. Houston, 21. Western Michigan, 22, Utah, 23. Washington State, 24. Stanford, 25. Navy.